Not compatible with regular 2DS, for use with 2DS XL only. - Includes four New Nintendo 2DS XL styluses. - Compatible with the New 2DS XL console only. - Fit perfectly into the stylus slot on the console. Don't let the gaming stop because you don't have a stylus. Note: Not compatible with New Nintendo 3DS XL. Under the influence of light and the display, the color difference may decrease slightly. Keep your screen free from scratches and fingerprints. Suitable for NDSi. 10 x Stylus for NDSi. Perfectly fits in the integrated stylus slot. 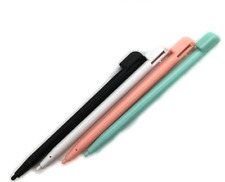 This Stylus Touch Pen is specially designed for New Nintendo 3DS LL/XL. It can put into the console of New Nintendo 3DS LL/XL. New Nintendo 3DS LL/XL (can be stick into the console). NDS / NDSI / NDSI XL / 3DS (can NOT be stick into the console). 15 PCS Colorful Stylus Touch Pen For Nintendo DS Lite. Ideal accessory to replace old stylus for NDSL. Compatible Model : Nintendo DSL. Colour: Color random. 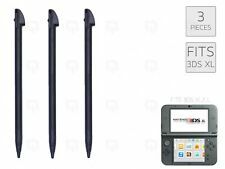 Compatible stylus pens for 2DS. - Fits inside the 2DS stylus slot. - Compatible with 2DS only, not suitable for other Nintendo consoles. They fit inside the console slot and lock into place like the original. Prevents Scratches/ Finger marks on the screen. Add to favs. All enquiries will be responded to within 24 hours. 2 x Assecure Large Big XL stylus pen bronze for Nintendo 3DS, DSi XL, DSi, DS Lite, DS & Wii U. Compatible with any DS console. Includes 2 x large stylus. 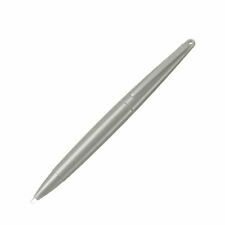 Light weight durable plastic pen. Built in Hole for use with lanyard (lanyard not included). 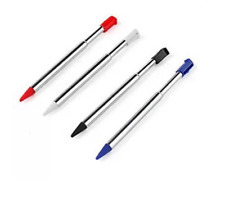 Features: - Compatible stylus pens for 2DS - Includes 1 x red, 1 x blue 1 x white and 1 x black. - Fits inside the 2DS stylus slot - Ideal replacements for lost or broken pens - Compatible with 2DS only, not suitable for other Nintendo consoles. 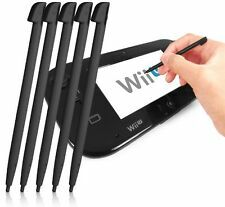 Description: These high quality replacement plastic stylus are an ideal replacement for your lost or broken 2DS stylus pens. They fit inside the console slot and lock into place like the original. Each pack includes four colours, red, blue white & black. Compatible with:For Nintendo For NDSL For 3DS XL For NDS For NDSI XL. Quantity: 10Pcs. 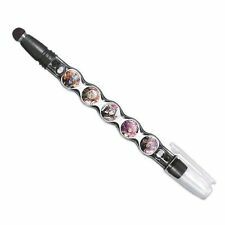 10 x Plastic Touch Screen Stylus Pens. Due to the difference between different monitors, the picture may not reflect the actual color of the item. 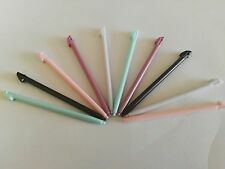 10 x Mixed Colour Touch Stylus Pens for Nintendo DS Lite Strong Rigid Plastic. Say goodbye to broken styluses. This is one of the toughest, most durable stylus pens you′ll ever lay your gaming-mad hands on! Compatible with:Nintendo Wii U WIIU. Quantity: 10Pcs. 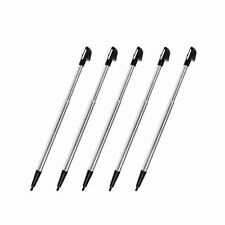 10 x Plastic Touch Screen Stylus Pens. Mini style,very convenient to storage. Very sensitive to type quickly. Color: as pictue show. Due to the difference between different monitors, the picture may not reflect the actual color of the item. Includes four New Nintendo 3DS XL styluses. - Compatible with the New 3DS XL (2015) console only. - Fit perfectly into the stylus slot on the console. - Work just like the original stylus. View Our Categories. Slot in stylus for the original (older generation) DS Handheld. - Specifically designed to slot into the stylus slot on the console. - Secures inside the consoles stylus slot just like the original. 3 White Touch Stylus Pens for Nintendo 2DS XL Rigid Plastic. Say goodbye to broken styluses. 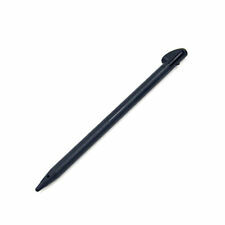 This is one of the toughest, most durable stylus pens you’ll ever lay your gaming-mad hands on! Super tough. Ribbed Top for easy pull out. -Black Colour. To provide an impeccable service to you, we seek to streamline our daily tasks and to be as effective as possible. (Fit for New Nintendo 3DS LL/XL(can be stick into the console). Fit for Nintendo NDS / NDSI / NDSI XL / 3DS (can NOT be stick into the console). 4) Portable & retractable, Very compact and portable design allows for easy storage. Made to the exact size to match the official For 2DS Stylus pen. Holder enclosure on the For 2DS. New For 2DS XL / LL Console. Keeping Your New For 2DS Safety. Included:5 X Stylus Pen For 2DS. If item is defective after 3 months, you can still send it back to us. Compatible with Nintendo DSi console only - Not for DSi XL. For Nintendo DSi only. Not suitable for DSi XL. - Fit inside DSi stylus storage slot. Add to Favourites. Compatible with all DS, 3DS & 2DS versions. For use with DS Lite DSi DSi XL 2DS 3DS 3DS XL & Wii U. The XL Stylus allows for greater accuracy when compared to using a finger on the touch screen. - 1 x Red, 1 x Blue, 1 x Pink included. 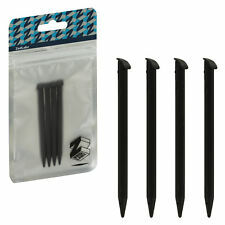 3 x Mixed Colour Touch Stylus Pens for Nintendo DS Lite Strong Rigid Plastic. The ultimate gaming stylus. Say goodbye to broken styluses. This is one of the toughest, most durable stylus pens you′ll ever lay your gaming-mad hands on! 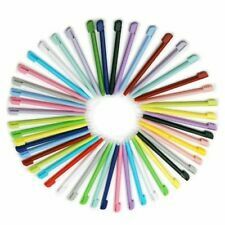 50 x Mixed Colour Touch Stylus Pens for Nintendo DS Lite Strong Rigid Plastic. The ultimate gaming stylus. Say goodbye to broken styluses. This is one of the toughest, most durable stylus pens you′ll ever lay your gaming-mad hands on! Compatible with Nintendo 2DS XL only, not compatible with the original 2DS or other models. - Suitable for most hand sizes, compatible with 2DS XL only. - Retracts for convenient storage in the consoles stylus slot. 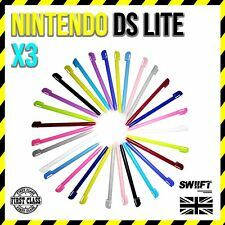 Compatible with the Nintendo DS Lite only, not for other DS, DSi or 3DS XL models. - Fit inside the DS Lite stylus slot. The Stylus will easily slot inside the storage slot on console. - 7 x stylus included. Made to the exact size to match the official For 2DS Stylus pen. Holder enclosure on the For 2DS. New For 2DS XL / LL Console. Keeping Your New For 2DS Safety. 10 x Stylus Pens For 2DS. Due to the difference between different monitors, the picture may not reflect the actual color of the item. Don't let the gaming stop because you don't have a stylus. Nintendo: DS Lite. Compatible with: Nintendo DS Lite. NOT compatible with: Nintendo DS/ DSi/ DSi LL/ XL. Mix and match your stylus with your mood.